Calton Cottage is located in Kettlewell. The property is 31 miles from Harrogate. Composed of 2 bedrooms and 1 bathroom, this vacation home features a TV. Skipton is 15 miles from the vacation home, while Ripon is 29 miles from the property. Leeds Bradford Airport is 34 miles away. 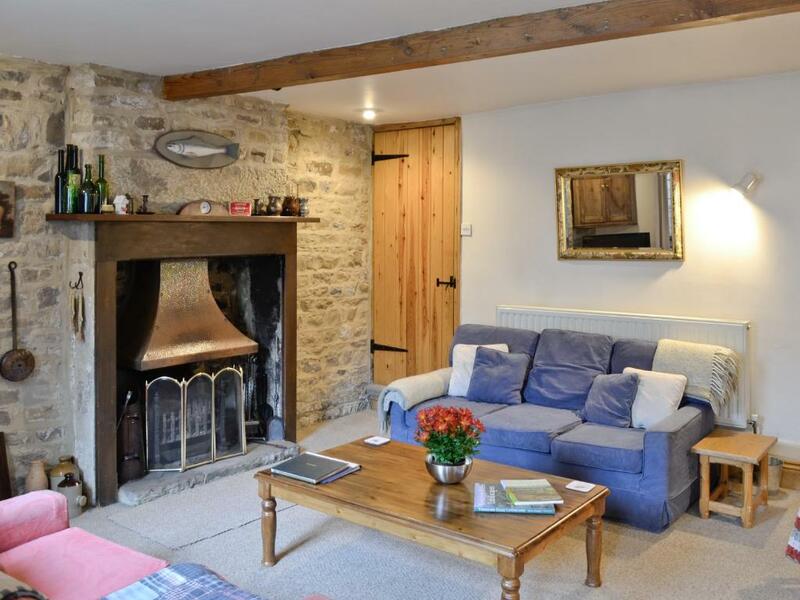 When would you like to stay at Calton Cottage? This holiday home has a fireplace, washing machine and dishwasher. House Rules Calton Cottage takes special requests – add in the next step! Calton Cottage accepts these cards and reserves the right to temporarily hold an amount prior to arrival. The housekeeping was not up to my standards and the cottage really would benefit from a good spring clean and a little light maintenance. There is unnecessary mold around the shower which could easily be removed, and the rubber on the glass above the bath needs replacing. I read other reviews prior to leaving and after two days did manage to get rid of the smells in the lounge; our stay was pleasant there afterwards. We thought the location perfect for our stay, two doors away from the Kings Head pub and restaurant which provided superb evening meals each night [we booked well in advance because we know it is always busy]. We were able to park the car directly in front of the cottage which was a real bonus. We had access to the internet which kept us informed and the cottage provided us with everything we needed. The cleaner, who was there on arrival which is why we could not find the keys in the designated place, was friendly helpful. The couches were clearly new and the mattresses only 2 weeks old. She pointed out a difficulty with the under stairs cupboard door handle and the caution needed when going outside the back door owing to danger of slipping which was appreciated.